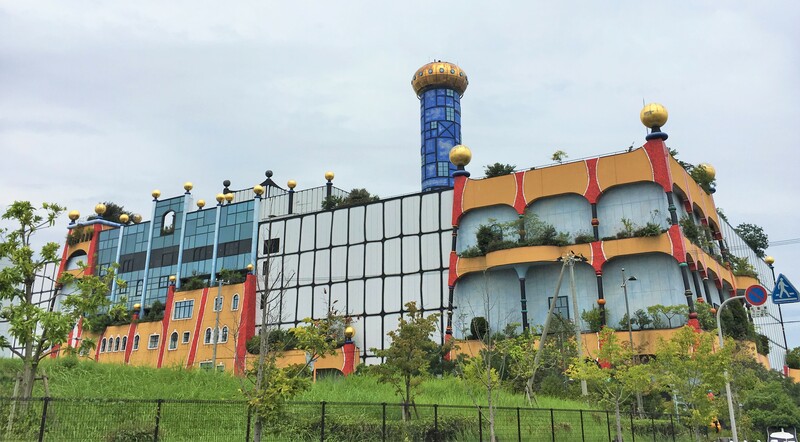 Maishima Incineration Plant: World’s Prettiest Garbage Facility? Maishima sits on a manmade island in Osaka Bay. 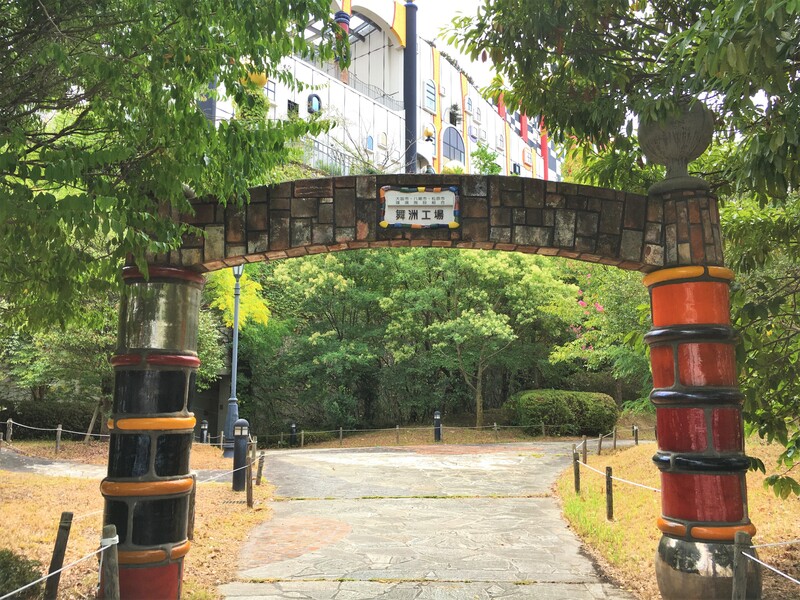 This island is known for its beautiful lily garden and the giant stadium for Osaka’s basketball team, Ebessa. However, another attraction of this island is the . Yes, a garbage burning facility! It may sound weird, but his plant is very interesting because of its unique designed. 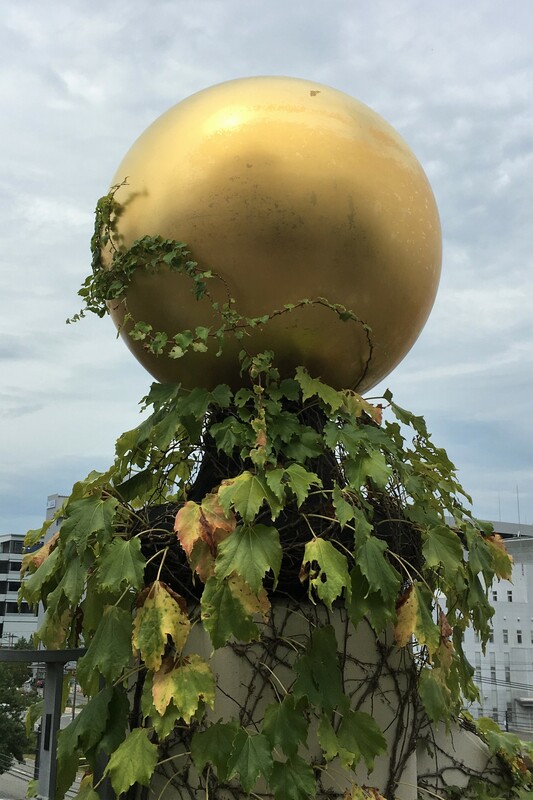 The plant looks so unusual, some people mistake it for part the nearby Universal Studio Japan. When Osaka bided to host the 2008 Olympics, the city decided that Maishima would be the main venue for the Olympic site. 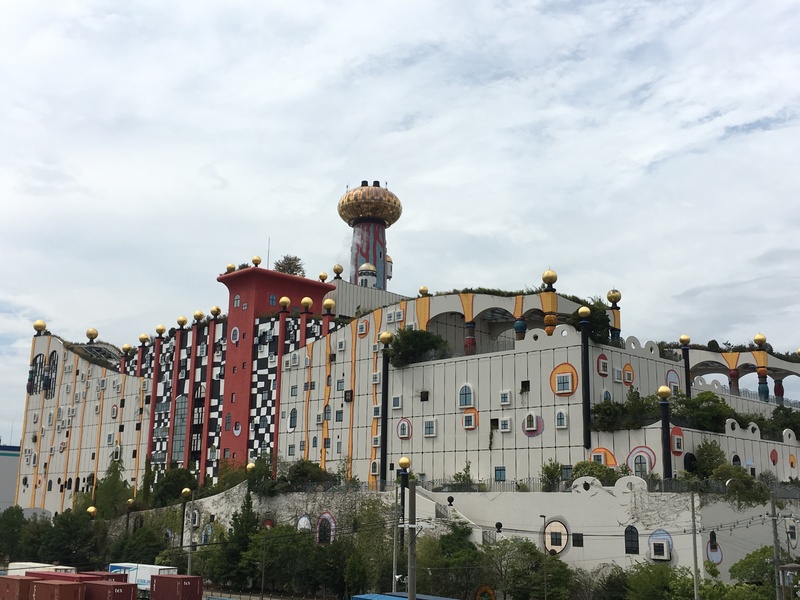 Because this island was made with the expressed purpose of being attractive, Osaka decided to make artistic incineration plants to the tune of 60 billion yen (roughly 600 million dollar). Unfortunately, Osaka did not end up hosting the Olympics and people criticized the city for wasting tax payer money. 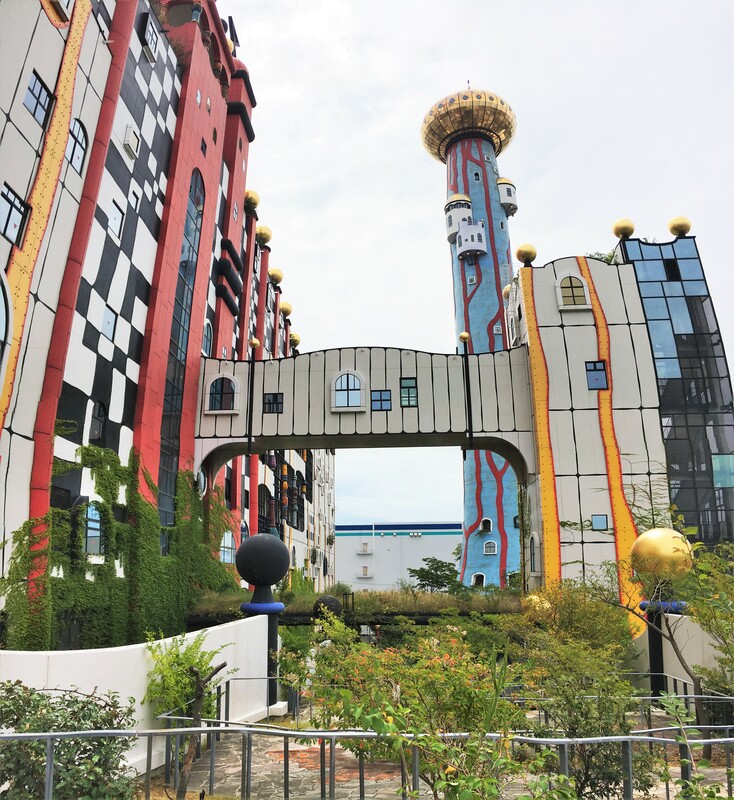 The plant’s designer is the world famous Friedensreich Hundertwasser. 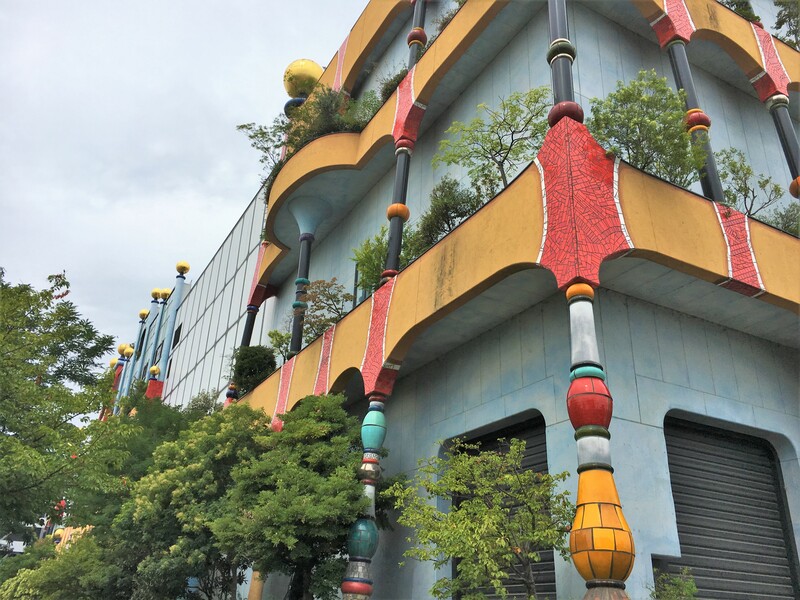 He designed several other buildings in Osaka, but he has only designed two garbage plants in the entire world. He passed way before completing the plant, meaning this is one of his last works. 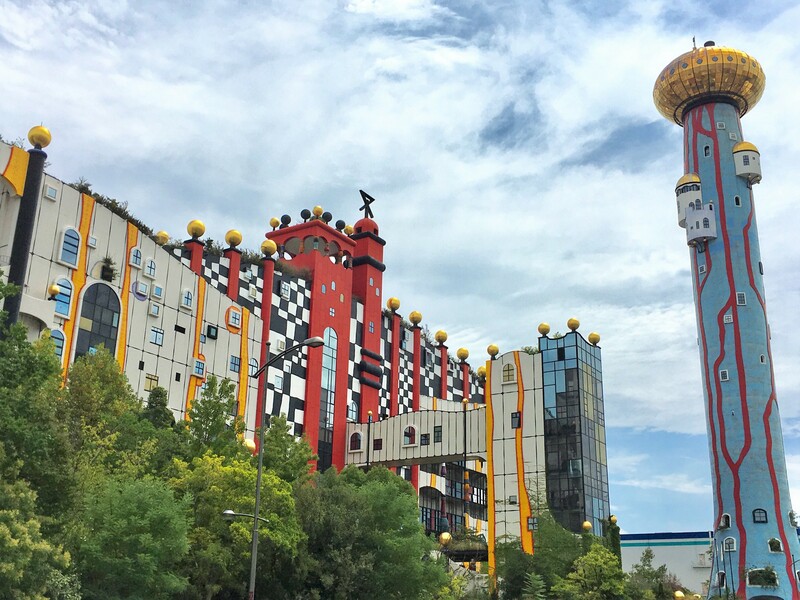 A characteristic of Hundertwasser designs is a lack of perfect straight lines. As such there are many curved lines throughout the factory. The yellow and red lines on the wall represent fire. Living in harmony with nature is a big theme in this plant, so it is surrounded by trees and plants. 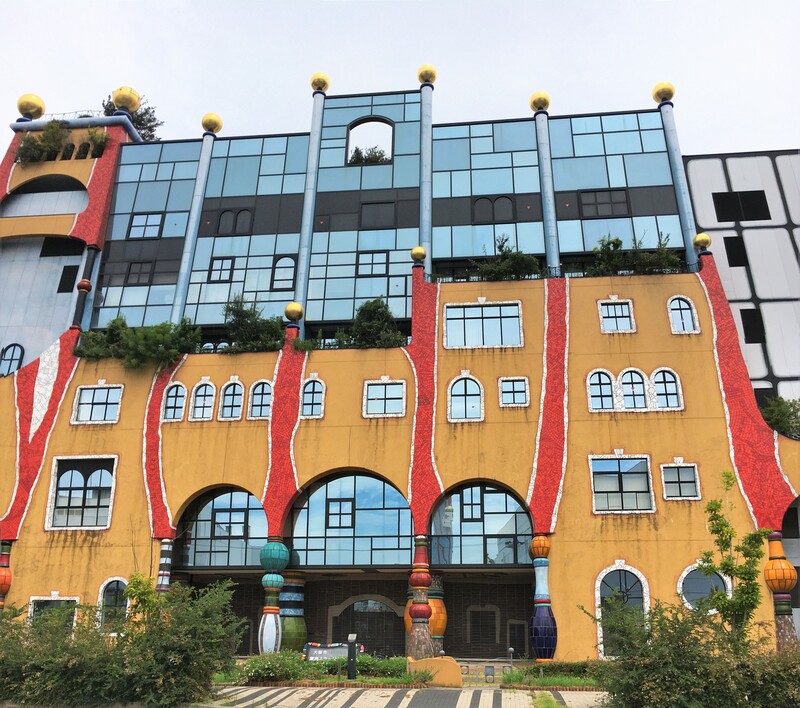 The Maishima Incineration Plant has many windows most of them are purely for decoration. Not only is the plant unique to looking at but this plant is actually pretty high tech. For example, when thy burn the garbage, they utilize the vapor to generate power and then use that power to burn the garbage. Maishima Incineration Plant is in Maishima Island. Unfortunately, there is not direct subway or train service to Maishima, it is a bit hard to access to the island. The easiest way is to take an Osaka City Bus from Nishikujo station off of JR Osaka Loop Line. Since this is city bus, in order to get there cheaply, you may use one day pass, which is also available for subways too. Also, there is a bus service from Cosmo Square station off of Osaka Metro Chuo Line. This is not Osaka City Bus, but it takes you to Maishima via Yumeshima, where Osaka Bampaku 2025 will be held. Also, this bus passes Yumemai Bridge, the floating movable bridge. It only costs 210 yen from Cosmo Square to Maishima. You can always come and take a look at the outside of this facility and but if you want to go inside you need a reservation (only available by phone and must be a week in advance). However, they have several “Open Days”, when the public can come and take a look inside without a reservation. Make sure to check their website to see when the next Open Day is! 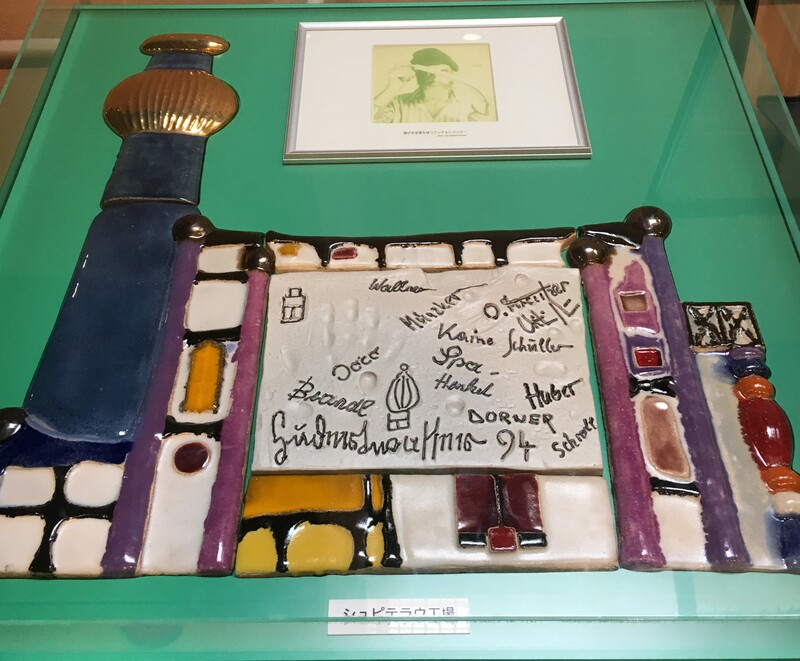 Elements of Hundertwasser’s design are consistent throughout the building. 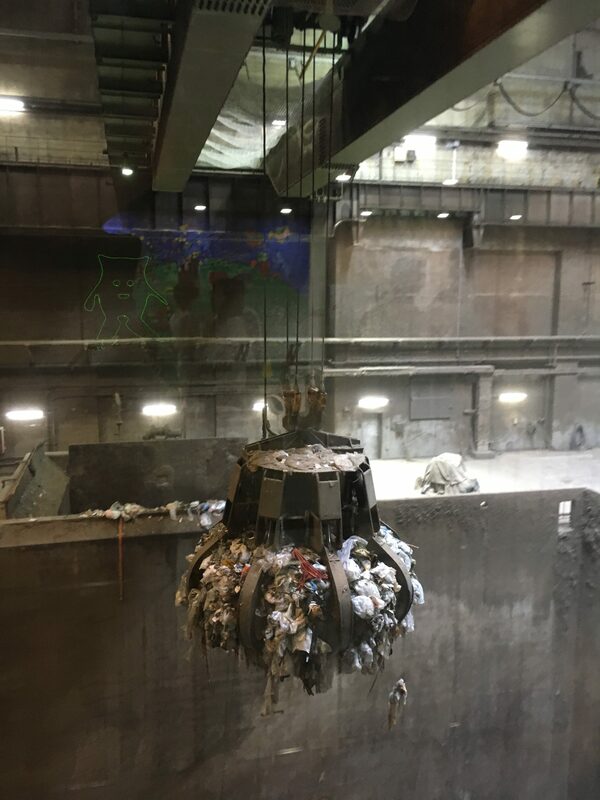 Inside of the plant you can see the actual garbage collecting machines as well as the information about the way trash is processed and several hands-on activities. 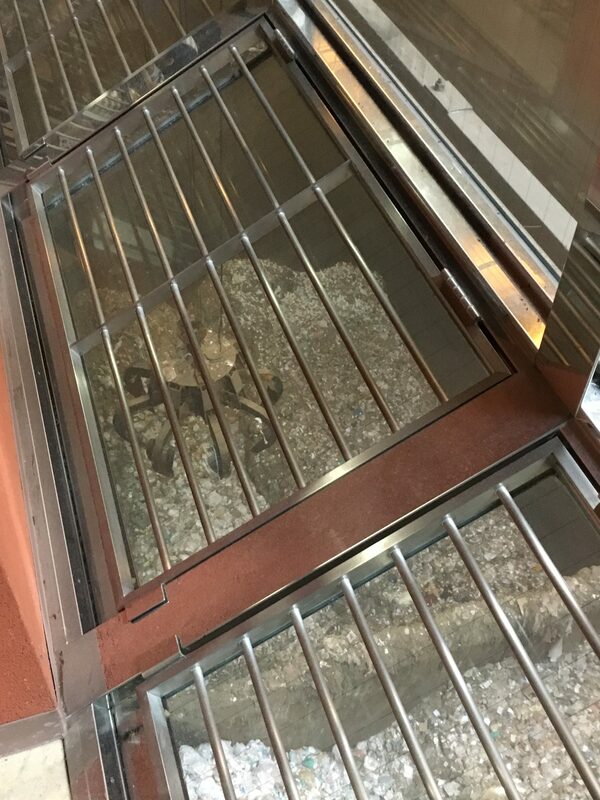 Some people may worry there is a smell because this is a garbage processing site, but you won’t smell a thing. 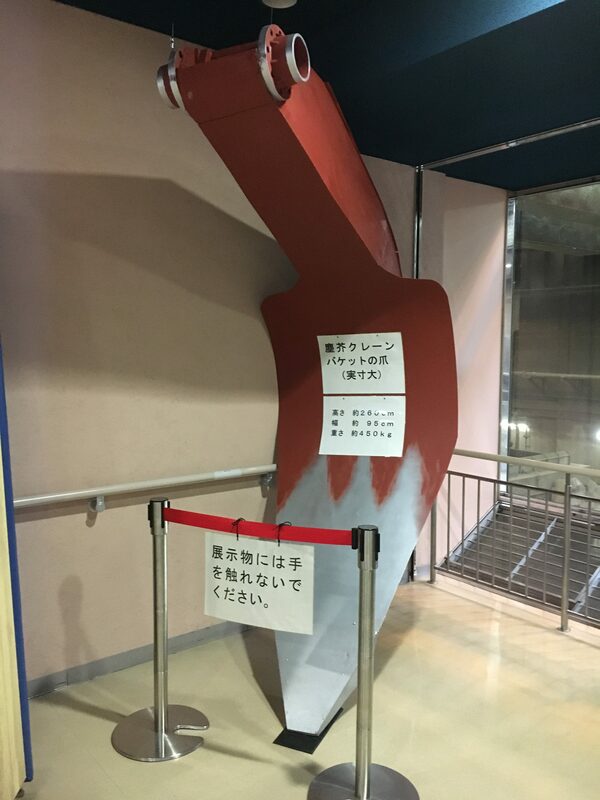 Just one of the part of the garbage claw. It’s huge! This plant only covers two wards out of 23 wards in Osaka City, Fukushima and Konohana, neither of which are not big wards at all. It is quite shocking to learn how much trashing people generate. Right across the street from the Maishima Incineration Center is the Maisima Sludge Center. 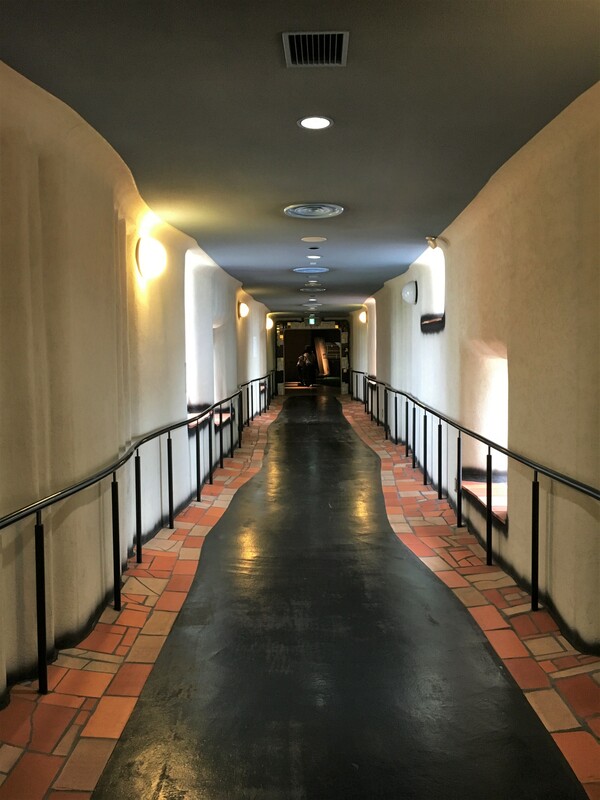 The Maishima Sliudge Center is the sewage control center, but you will not smell a thing even if you get really close to it. Hundertwasser also designed this plant. 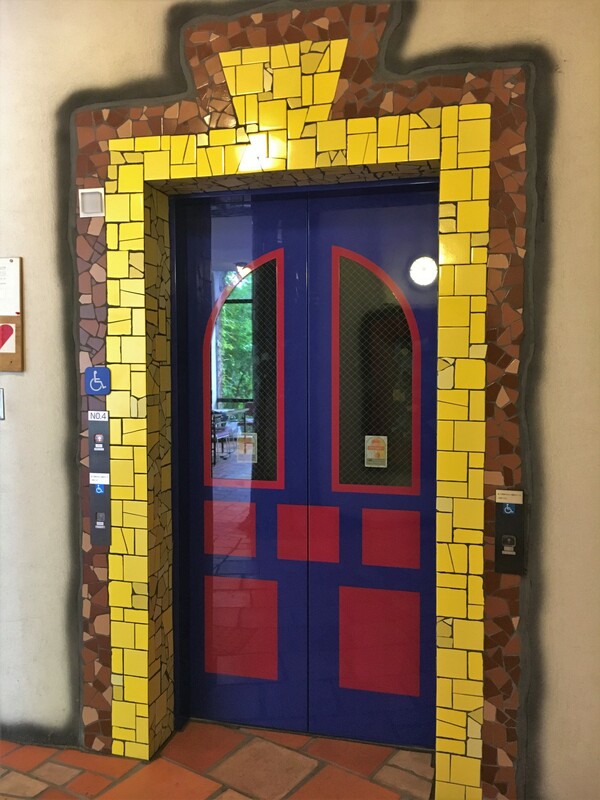 The entrance fee is 800 yen. The design of each of the pillars is different. Sadly, there is no “Open Day” at the Sludge Center, so you have to make a reservation if you want to go inside. However, like Incineration Center, it is fun to just go and see the outside of the building.